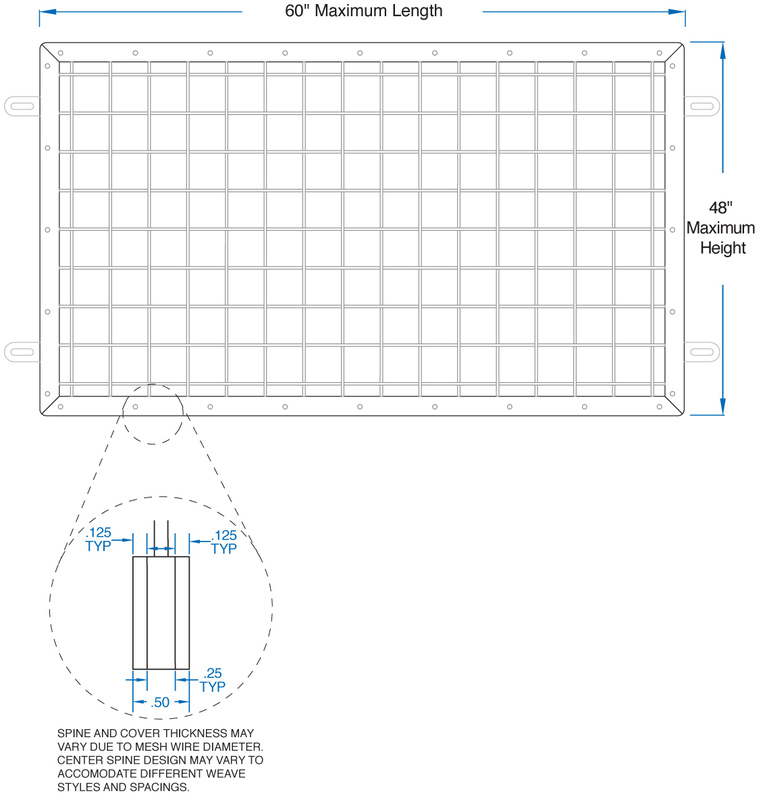 System USS – Precision metal cutting and welding techniques are used to create a unique woven mesh framing system suitable for in-fill panels, wall panels (flush mount or with stand offs) and room dividers. The wire mesh is welded to the center spine then enclosed by two outer covers. Due to the heft of the framing, not all of our standard mesh patterns are suitable for USS in-fill panels. The universal spine outer covers and spine will vary based on the mesh design chosen. Maximum overall dimensions are 42″ x 60″ for in-fill panels. Specific applications should be discussed with the factory. Click here to see six additional designs specifically created for use as in-fill panels. To view the In-Fill panel Matrix information, click here.